Abstract: Plasmonics has become a very important branch in nano optics. It allows us to concentrate, guide, and manipulate light at the deep subwavelength scale, promising enhanced light-matter interaction, next-generation optical circuits, sub-diffraction-limited imaging, and ultrasensitive biomedical detection [1-4]. Furthermore, the assembly of judiciously designed metallic structures can be used to construct metamaterials and metasurfaces with exotic properties and functionalities, including anomalous refraction/reflection, strong chirality and invisibility cloak [5,6]. There is a pressing need of tunability and reconfigurability for plasmonics and metamaterials, in order to perform distinct functionalities and miniaturize the device footprint. In this talk, I will present our recent work in reconfigurable plasmonics and metamateirals. First, I will discuss the first demonstration of reconfigurable plasmonic lenses operating in microfluidic environment, which can dynamically diverge, collimate and focus surface plasmons . Second, I will present a novel graphene metasurface to fully control the phase and amplitude of infrared light with very high efficiency. It manifests broad applications in beam steering, biochemical sensing and adaptive optics in the crucial infrared wavelength range . Finally, I will discuss origami-based, dual-band chiral metasurfaces at microwave frequencies. The flexibility in folding the metasurface provides another degree of freedom for geometry control in the third dimension, which induces strong chirality from the initial, 2D achiral structure . These results open up a new avenue towards lightweight reconfigurable meta-devices. References:  S. A. Maier, "Plasmonics: fundamentals and applications", Springer Science+ Business Media (2007);  T. Zentgraf et al., "Plasmonic Luneburg and Eaton lenses", Nature Nanotechnology 6, 151 (2011);  Y. M. Liu et al., "Compact magnetic antennas for directional excitation of surface plasmons", Nano Letters 12, 4853 (2012);  Z. Wang et al., "Manipulating Smith-Purcell Emission with Babinet Metasurfaces", Physical Review Letters 117, 157401 (2016);  Y. M. Liu and X. Zhang, "Metamaterials: a new frontier of science and technology", Chemical Society Reviews 40, 2494 (2011);  K. Yao and Y. M. Liu, "Plasmonic metamaterials", Nanotechnology Review 3, 177 (2014);  C. L. Zhao et al., "A reconfigurable plasmofluidic lens", Nature Communications 4:2350 (2013);  Z. B. Li et al., "Graphene plasmonic metasurfaces to steer infrared light", Scientific Reports 5, 12423 (2015);  Z. Wang et al., "Origami-based Reconfigurable Chiral Metamaterials", manuscript under review. Biography: Dr. Yongmin Liu obtained his Ph.D. from the University of California, Berkeley in 2009. He joined the faculty of Northeastern University at Boston in fall 2012 with a joint appointment in the Department of Mechanical & Industrial Engineering and the Department of Electrical & Computer Engineering. 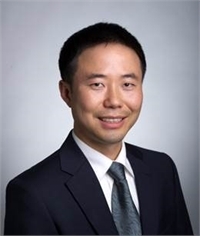 Dr. Liu’s research interests include nano optics, nanoscale materials and engineering, plasmonics, metamaterials, biophotonics, and nano optomechanics. He has authored and co-authored over 50 journal papers, including Science, Nature, Nature Nanotechnology, Nature Communications, Physical Review Letters and Nano Letters. Dr. Liu was a recipient of NSF CAREER Award (2017), Office of Naval Research Young Investigator Award (2016), SPIE DCS Rising Researcher Award (2016), 3M Non-Tenured Faculty Award (2016), Air Force Summer Faculty Fellowship (2015), and Chinese Government Award for Outstanding Students Abroad (2009). Currently he serves as an editorial board member for Scientific Reports, EPJ Applied Metamaterials and Nano Convergence.